LSTW and Peau de Loup look forward to moving towards a common goal together. 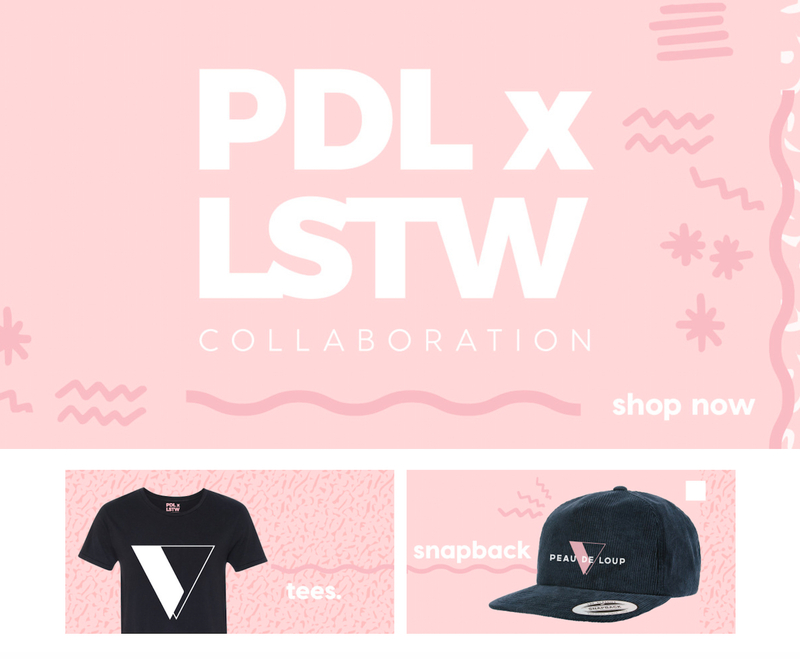 Just in time for Pride season, LSTW is happy to announce a new partnership with Vancouver clothing brand Peau de Loup. Over the next few weeks, we’ll be launching a merch line created in conjunction with Peau de Loup’s team. This exciting collaboration has been a way for us all to gather and reflect on what women want, from coast to coast to coast. We’re happy and proud to join forces to develop items—from tees to snapbacks—shaped specifically with our communities in mind, and to create new products that reflect our values. LSTW and Peau de Loup look forward to moving towards a common goal together: to highlight creative work done by women for women, to challenge stereotypes and to provide more visibility to our communities. But we won’t tell you all about it just yet… Follow us on social media for further details! Founded by Vancouverites Adelle Renaud and Erin McLeod, Peau de Loup is redefining feminine etiquette in womenswear by creating functional, well-made and timeless apparel. Growing up as tomboys, the two were acutely aware that the retail clothing experience wasn’t built for them. While reflecting on her path as a menswear designer, Renaud realized that her career choice was a reflection of her own style identity—an identity that wasn’t well represented in retail. So they stole it from the boys and made it to fit them. Cheeky, classic, strong.